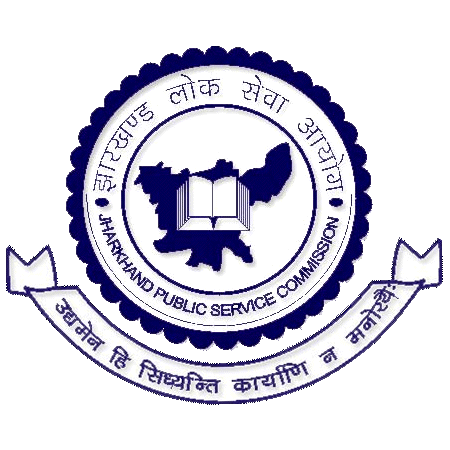 JPSC Recruitment 2019: Jharkhand Public Service Commission / www.jpsc.gov.in is conducting recruitment processes to fill 263 vacancies. As of now, there are two recruitment drives going on for Apply Online for 262 Assistant Professor Posts and Registrar Post. JPSC Recruitment 2019 - Apply Online for 262 Assistant Professor Posts in Jharkhand on Permanent Basis. Online Applications are invited by Jharkhand Public Service Commission from 23 Apr 2019 to 15 May 2019 till 11:45 PM for 262 vacancies. JPSC Recruitment 2019 - Job notification for Registrar Post in Jharkhand on Direct Recruitment. Applications are invited by Jharkhand Public Service Commission on or before 10 May 2019 05:00 PM for 1 vacancy. JPSC Recruitment 2019 - Apply Online for 262 Assistant Professor Posts in Medical Colleges of Jharkhand on a Permanent Basis. Online Applications are invited by Jharkhand Public Service Commission from 08 Mar 2019 to 05 Apr 2019 till 11:45 PM for 262 vacancies. JPSC Recruitment 2018 - Apply Online for 107 Civil Judge Posts in JPSC, Ranchi, Jharkhand on Direct Recruitment. Online Applications are invited by Jharkhand Public Service Commission from 24 Nov 2018 06:00 PM to 24 Dec 2018 11:45 PM for 107 vacancies. JPSC Recruitment 2018 - Job notification for Deputy Collector (Backlog) Post in Jharkhand on Permanent Basis. Applications are invited by Jharkhand Public Service Commission on or before 12 Nov 2018 till 05:00 PM for 1 vacancy. JPSC Recruitment 2018 - Job notification for Deputy Collector Posts in Department of Administrative Reforms and Official Language, Ranchi, Jharkhand on Fixed Term Basis. Applications are invited by Jharkhand Public Service Commission on or before 12 Nov 2018 05:00 PM for 4 vacancies. JPSC Recruitment 2018 - Job notification for 28 Deputy Collector Posts in Jharkhand on Permanent Basis. Applications are invited by Jharkhand Public Service Commission on or before 12 Nov 2018 till 05:00 PM for 28 vacancies. JPSC Recruitment 2018 - Apply Online for 57 Assistant Engineer Posts in Urban Development and Housing Department, Jharkhand on Permanent Basis. Online Applications are invited by Jharkhand Public Service Commission from 14 Sep 2018 to 29 Oct 2018 till 5 PM for 57 vacancies. JPSC Recruitment 2018 - Apply Online for 56 Assistant Public Health Officer Posts in Jharkhand on Permanent Basis. Online Applications are invited by Jharkhand Public Service Commission from 31 Aug 2018 to 14 Oct 2018 till 11:45 PM for 56 vacancies. JPSC Recruitment 2018 - Job notification for 552 Assistant Professors Posts (Regular) in JPSC, Ranchi, Jharkhand. Applications are invited by Jharkhand Public Service Commission on or before 31 Jul 2018 05:00 PM for 552 vacancies.